Indonesian Citizen, lives in Jakarta. Born in 1962, age as of December 2018 is 56 years old. He received her Bachelor in Civil Engineering from Universitas Indonesia in 1987; and Master in Management from Prasetiya Mulya in 2008. In addition to serving as a Director at Jasa Marga, she does not hold positions in other companies or institutions. 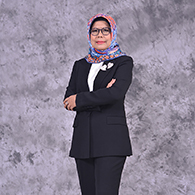 Previously, She served as Operation I Director of PT Waskita Karya (Persero) Tbk. (2013-2016); and Operation II Director of PT Waskita Karya (Persero) Tbk. (2011-2012). Appointed as President Director/Independent Director for the first time at the Extraordinary GMS dated August 29, 2016 based on the Deed of Decision of the Annual General Meeting of Shareholders No. 29 dated September 07, 2016. Serving Period : August 29, 2016- closing of the 2021 Annual GMS (first period). Indonesian Citizen, lives in Jakarta. Born in 1971, 47 years old per December 2018. 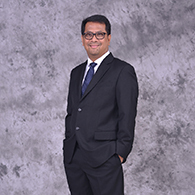 He received Bachelor in Civil Engineering from Institut Teknologi Sepuluh November Surabaya in 1996; Postgraduate in Project Management from Universitas Indonesia in 2003; and Postgraduate in Business and IT from The University of Melbourne in 2007. In addition to serving as a Director at Jasa Marga, he does not hold positions in other companies or institutions. 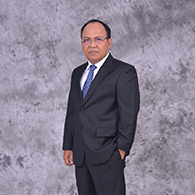 Previously, He served as Corporate Secretary of PT Jasa Marga (Persero) Tbk (2015-2017); VP Corporate Planning of PT Jasa Marga (Persero) Tbk (2012-2015); Head of Monitoring and Evaluation of Corporate Work Programs of the Corporate Planning Bureau PT Jasa Marga (Persero) Tbk (2010-2012); and Head of Technology Development Analysis of the Information Technology Bureau PT Jasa Marga (Persero) Tbk (2008-2010). Appointed as Director of Operation I at the Extraordinary GMS dated March 15, 2017 based on the Deed of Decision of the General Meeting of Shareholders No. 37 dated March 23, 2017. Indonesian Citizen, lives in Jakarta. Born in 1962, 56 years old per December 2018. 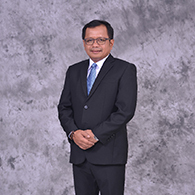 He received Bachelor in Civil Engineering from Institut Teknologi Bandung in 1986; and Master in Management from Universitas Krisnadwipayana Jakarta in 2010. He is currently serving as President Commissioner of PT Jasamarga Bali Tol (JBT) since April 2017; and Commissioner of PT Jasamarga Surabaya Mojokerto (JSM) since March 2018. Previously, He served as President Director of PT Marga Lingkar Jakarta (2014-2016); and General Manager of Cawang-Tomang-Cengkareng (2008-2014). Appointed as Director of Operations II at the Extraordinary GMS dated August 29, 2016 based on the Deed of Decision of the Annual General Meeting of Shareholders No.29 dated September 07, 2016. Serving Period : August 29, 2016-closing of the 2021 Annual GMS (first period). Indonesian Citizen, lives in Jakarta. Born in 1963, age as of December 2018 is 55 years old. He received Bachelor in Planology Engineering) from Institut Teknologi Bandung in 1988. In addition to serving as a Director at Jasa Marga, he does not hold positions in other companies or institutions. Appointed as Director at the Annual GMS dated April 10, 2018 based on the Deed of Decision of the Annual General Meeting of Shareholders No.60 dated April 19, 2018. Indonesian Citizen, lives in Jakarta. Born in 1970, 48 years old per December 2018. He received Bachelor in Economics from Universitas Indonesia in 1994. In addition to serving as a Director at Jasa Marga, he does not hold positions in other companies or institutions. 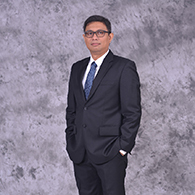 Previously, He served as Managing Director PT Mandiri Sekuritas (2016-2017); Senior Executive Vice President PT Mandiri Sekuritas (2016); Director Head of Investment Banking, PT Mandiri Sekuritas (2010-2016); Associate Director of Investment Banking, PT Mandiri Sekuritas (2004-2010); AVP of Investment Banking PT Mandiri Sekuritas (2003-2004); Manager of Institutional Client Origination, Treasury Division PT Danareksa (Persero) (2000-2003); and Account Officer of Corporate Banking Bank Bumiputera (1996-2000). Appointed as Director at the Annual GMS dated March 15, 2017 based on the Deed of Decision of the General Meeting of Shareholders No. 37 dated March 23, 2017. Indonesian Citizen, lives in Depok, Jawa Barat. Born in 1968, 50 years old per December 2018. 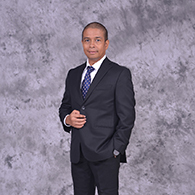 He received Bachelor in Agro-industrial Management from Institut Pertanian Bogor in 1990; Master in Management from Universitas Atmajaya in 1997; and Doctoral Degree in Human Capital from Institut Pertanian Bogor in 2011. In addition to serving as a Director at Jasa Marga, he does not hold positions in other companies or institutions.